The minimum price works out to nearly $461 per square foot per plot ratio (psf ppr). The 1.71ha site can be developed into a maximum of 550 residential units. ECs are a public-private housing hybrid. Market experts are expecting the EC site to draw strong interest from developers. For one thing, there has been a limited supply of EC sites and strong take-up of such units. This year, there was only one EC project launched – the 628-unit Rivercove Residences by Hoi Hup and Sunway Developments in Anchorvale Lane. As at end-June, only 45 EC units remained unsold in launched projects. EC buyers will also not be subject to the additional buyer’s stamp duty (ABSD), as they are not allowed to own any other residential properties, an important consideration, given that the latest July 5 property cooling measures have raised ABSD rates. ZACD Group executive director Nicholas Mak noted last month that the tender for the site was triggered quickly – within a month of the site being made available for application on June 28 – indicating that some developers think that, in the light of the latest government curbs, EC units would probably still enjoy strong demand. Huttons Asia head of research Lee Sze Teck has also said that the trigger price of $461 psf ppr for the Anchorvale Crescent site “speaks volumes of developers’ confidence in the EC market”. In March this year, a 2.7ha, 820-unit EC site at Sumang Walk, about 2.3 km from the Anchorvale Crescent parcel, was awarded to City Developments and TID Residential, which beat 16 other contenders with a bid of $509.4 million, or a record $583 psf ppr for EC land. 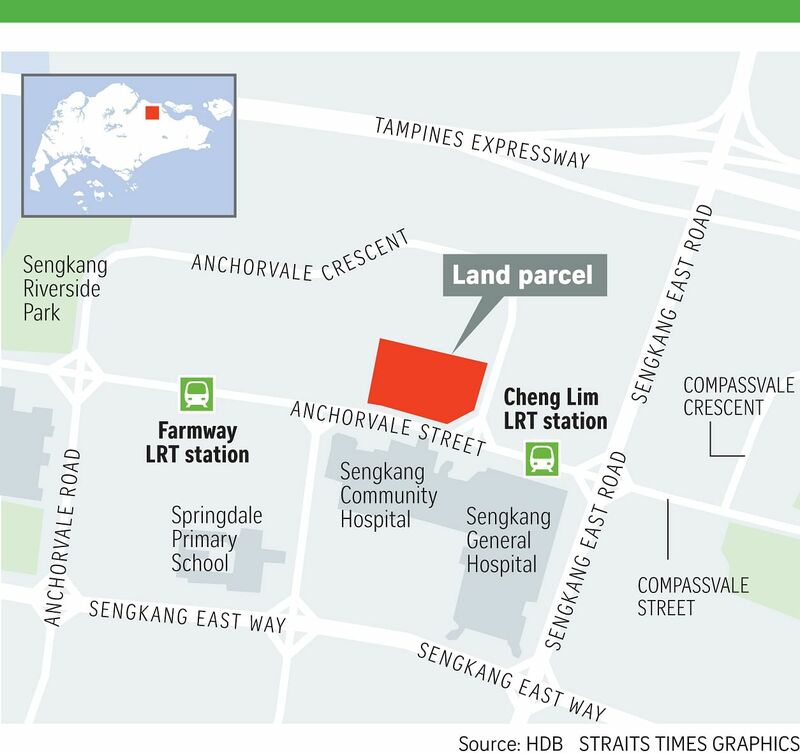 The tender for the Anchorvale Crescent site will close on Sept 14 at 12pm.